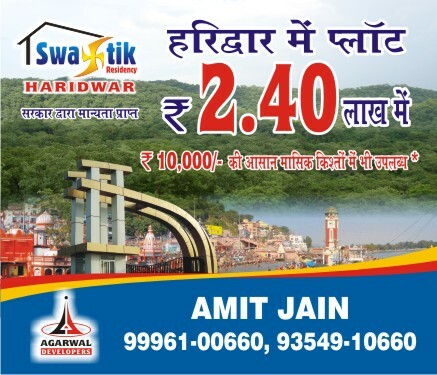 540 square feet plot at haridwar in just rs 240000. 1.&Nbsp;Land is Freehold and is in the name of the Developer Company. 2. T.H.D.C. Colony (Tehri Hrdro Development Corporation. 5. Located in Haridwar but Away from Hustle and Bustle of the city. 6. 2 KM. from Bahadrabad Industrial Area. 7. 3.5 Km. From B.H.E.L. Insdustries. 8. 4KM from SIIDCUL Industrial Area. 9. 4 KM from SHIVALIK NAGAR. 1. land is freehold and is in the name of the developer company. 2. t.h.d.c. colony (tehri hrdro development corporation. 3. eco friendly layouts. 4. vastu friendly layouts. 5. located in haridwar but away from hustle and bustle of the city. 6. 2 km. Plot. no 51 Suman Nagar Haridwar.